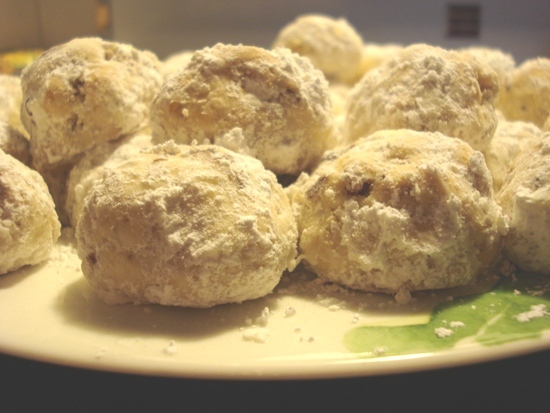 As a follow-up to my previous post, here’s a mouth-watering Mexican Wedding Cookies recipe you will not got enough of. The store-bought cookies will lose its meaning. All other recipes will pale in comparison. I made this batch with my SIL as part of a care package for my eldest brother and wife. Combine dry ingredients (flour and salt) and set aside. In a medium bowl, cream butter and vanilla until smooth. Add the flour and salt, then 1/2 cup confectioners’ sugar. Mix until just blended. Add chopped nuts. Roll dough into 1-inch balls, and place them 2 inches apart on an ungreased cookie sheet. Bake for 15-18 minutes. Tip: Do not let cookies turn golden brown. 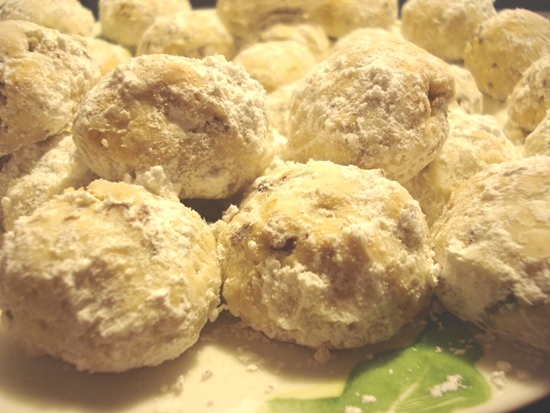 Roll in confectioners’ sugar while still hot. Let cool. Coat in confectioners’ sugar a second time.